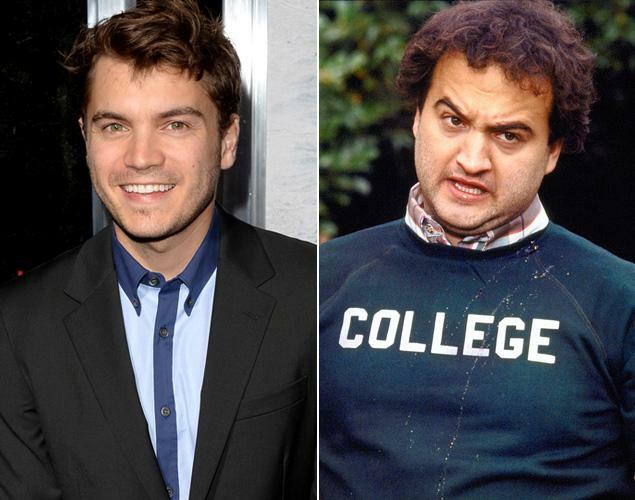 Emile Hirsch is to star as John Belushi in a film biopic based on the legendary comic’s life. Steve Conrad will write and direct the as yet untitled independent feature, to begin shooting in New York next spring. Emile Hirsch, 28, is best known for his roles in Speed Racer, Milk, Into the Wild, The Girl Next Door and Killer Joe. John Belushi shot to fame as one of the original cast members of TV’s Saturday Night Live before dying of a drug overdose in 1982 at the age of 33. According to Variety magazine, Steve Conrad will direct from a self-penned script adapted from a 2005 biography co-written by John Belushi’s widow Judy. Steve Conrad’s writing credits include Will Smith film The Pursuit of Happyness, Nicolas Cage drama The Weather Man and upcoming Ben Stiller vehicle The Secret Life of Walter Mitty. His film will be executive produced by Dan Aykroyd, one of John Belushi’s best friends and the other Blues Brother in John Landis’s 1980 cult comedy film. John Belushi, also famous for his role in John Landis’s film Animal House, was previously portrayed on screen by The Shield star Michael Chiklis in 1989 release Wired.